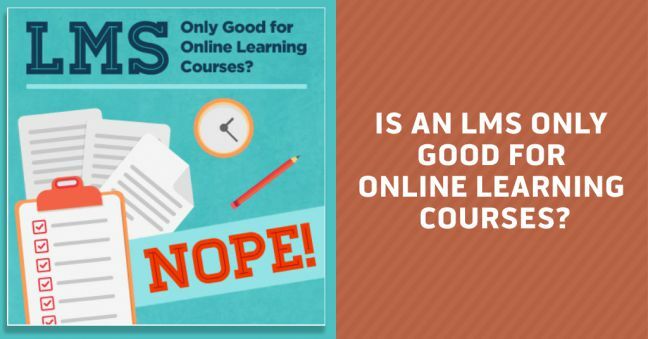 Is an LMS Only Good for Online Learning Courses? Quick Answer: Nope. People who are new to learning management systems (LMSs) sometimes assume that an LMS can only be used to deliver, track, and report on online training. You know, things like computer-based training courses–or maybe you call them CTBs, online courses, or e-learning courses. But that’s not true. At least it’s not true with the Convergence LMS. We believe that the best training programs take advantage of a blended learning solution that incorporates different types of training: instructor-led training, OJT task-based training, written policies, procedures, documents, social learning, self-guided learning, and more. Which is why we’ve incorporated many different training formats within our various LMSs. For a little more information, read on. Classes: The Convergence LMS is a handy tool for helping you work with instructor-led training. Create classes, assign instructors to classes, assign workers to attend classes, create classes with multiple sessions and/or instances, notify assigned workers, let workers select the sessions/instances that best fit their schedule, grant attendance credit in the field, scan and store paper-base sign-in sheets electronically, and more. eLearning Courses: Easily import eLearning courses in SCORM and/or AICC formats. Videos: “Straight” videos delivered online through the LMS. Import them in only a few clicks using our video import wizard. The LMS even automatically converts your video file to the appropriate format so all employees will be able to view it. Procedural Checklists and Skill Demonstrations: Create a list of tasks you want your employee to demonstrate, evaluate the employee’s performance of the tasks, and “check” the employee off on each task when they’re done correctly. This is a great way to evaluate the skills of your employees in the field. Plus, with a simple configuration setting, you can change this into a “visual standard operating procedure (SOP)” that teaches a set of skills too. Documents: Need your employees to read some written material, step through a PowerPoint presentation, read a company policy, or look at a diagram or other image? A document is just the ticket. Quizzes: Need to create an assessment with tools right inside the LMS? We’ve got you covered–multiple question types, test banks, question randomization, custom passing scores, question-specific feedback, and more all included. You can even add images and videos to each quiz, plus add appropriate feedback for employees who answer each question correctly or incorrectly. Training events: Got some other form of training that the five activity types above don’t quite cover? Create a training event, then. Covers site tours, social learning, self-guided study, off-site conference presentations and training, and more. Surveys: Need to get employee reactions/thoughts on a completed training or for some other reason? Design your own online survey in minutes, including questions and answer options, and deliver it online through your LMS. This is a great way to perform Level 1 evaluations/smile sheets. So there you have it. You can work with a LOT more than just online training when you get an LMS to create, assign, deliver, track, and report on training. Need more information? We’re right here. Do You Need An Authoring Tool to Use an LMS? 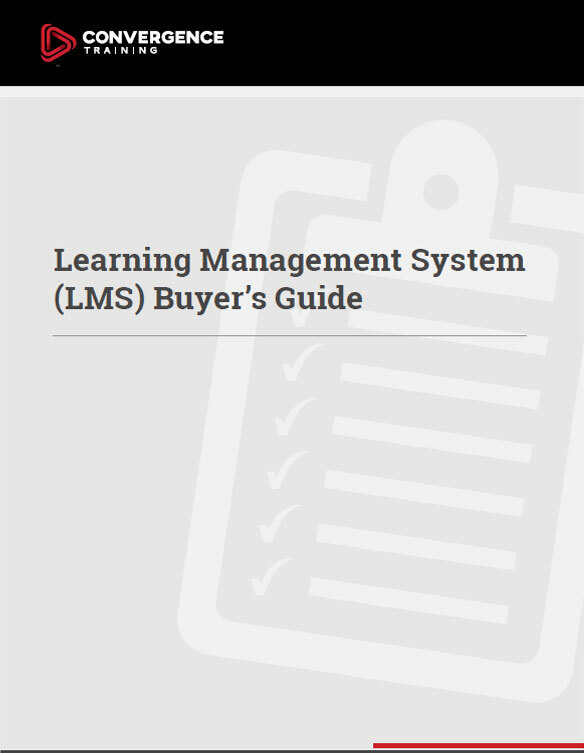 Finally, feel free to download our free LMS Buyer’s Guide, below.